Click the blue titles to read the entire press release. August 20, 2018 - President, Tom Dempsey (Vision DataEquipment) had an “above par day. June 16 , 2017 - The Daily News-Tribune Inc. partners with Vision Data for a hosted Total Advertising management system..
May 20, 2017 -Woodward Communications Inc. makes major investment in Vision Data Systems. November 5, 2016 - Idaho Falls Post-Register goes “live” with new Vision Data hosted Total Advertising System..
September 21, 2015 - Minnesota and Wisconsin groups maximize cross-selling with investment in Vision Data. April 1, 2016 -The Brunswick News Chooses Vision Circulation. April 1, 2015 - The Keene Sentinel selects Vision Data “Soup to Nuts” solution. February 2, 2015 - Community Newspapers Inc. chooses Vision Data’s Online Search Engine . February 1, 2015 - Community Newspapers Inc moves Lake City Reporter to Vision Data systems. .
January 20, 2015 - Your publication's best investment for 2015 . January 5, 2015 - Several long-time Vision Data customers opt to add functionality as 2014 ends. December 23, 2014 - Dominion Post Upgrades to Vision Data’s Total Circulation System. November 25, 2014 - VisionWeb connects Customers, Salespeople, Call Centers, Financial and Creative together in one place. June 20, 2014 - The Brunswick News Chooses Vision Data. June 1, 2014 - Community Newspapers Inc. moves South Georgia Region newspapers to Vision Data systems. June 1, 2014 - Yankton (SD) Press & Dakotan chooses Vision Data for complete new Vision Total Advertising, VisionWeb and Vision Total Circulation Management systems. January 6, 2014 - Shaw Media, Inc. moves newly purchased Herald-News to Vision Data systems. December 12, 2013 - Clovis (NM) Media, Inc. installs Vision Data Total Advertising system. 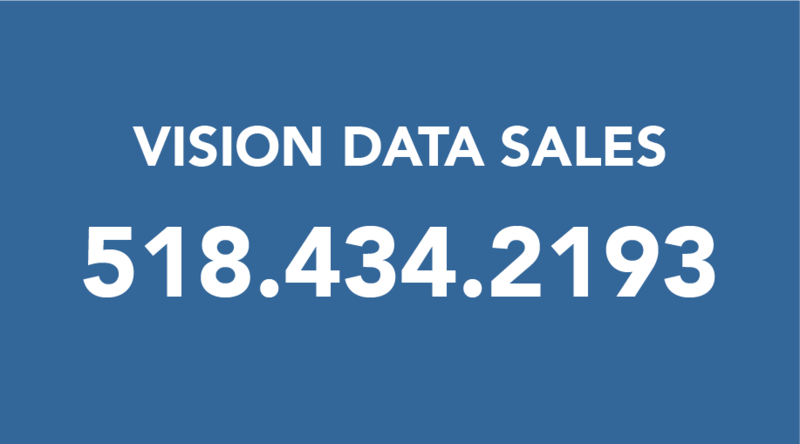 November 13, 2013 - Vision Data announces the release of Total Circulation. September 30, 2013 - Northern Wyoming Daily News chooses Vision Data-hosted Total Advertising and Total Circulation Management systems. June 12, 2013 - Casa Grande Valley Newspapers invests in Vision Data Total Circulation Management system. January 5, 2013 - Monroe Publishing Company invests in complete Vision Data hosted Infrastructure as a Service (IaaS) system. December 10, 2012 - Community Newspapers Inc, Athens GA chooses Vision Data. November 30, 2012 - Shaw Media, Inc. moves newly purchased Suburban Life group to Vision Data systems. October 31, 2012 - Testimonial from the Buffalo, NY area Bee Newspapers. August 20, 2012 - Denton Publications upgrades to Vision Data Total Advertising and AP/GL. June 25, 2012 - Journal Inquirer, Manchester, CT, invests in Vision Data hosted system. May 2, 2012 - Hersam-Acorn Newspapers makes major re-investment in Vision Data Systems. October 11, 2011 - The Johnson City (TN) Press installs Vision Circulation Manager. August 1, 2007 - Hersam-Acorn Newspapers moves 17 newly purchased publications and printing company to upgraded Vision Data Total Advertising classified and AP/GL systems. June 7, 2007 - Newly-formed Rhode Island newspaper group invests in Vision Data system for circulation, display, classified management, and new media innovations. June 1, 2007 - Sandusky Newspapers Inc. invests in Vision Total Advertising, VisionWeb, and additional products and services for two additional dailies. May 7 , 2007 - Community Newspaper Holdings, Inc. nearing completion of Vision Data's Circulation and Total Advertising display and classified systems in four recently-purchased Ottaway newspapers. April 6 , 2007 - Sunbury, PA Daily Item moves to Vision Total Advertising and Circulation Management Systems. January 5, 2007 - Community Newspaper Holdings, Inc. moves two New York dailies to twin Vision Data Total Advertising and Circulation mamgement systems. January 2, 2007 - The Fully Integrated Solution: Leading the Industry in Revnue-generating, Customer Service-oriented sofware. January 1, 2007 - Find Vision... One Integrated Solution. Revnue-minded software for all of your publishing needs. August 28, 2006 - Vision Data completes installation of Redundant High Speed Network links. March 15, 2005 - PROFILE: Firm Quietly Dominates Market Niche. January 4, 2005 - 60,000 circulation Ogden, Utah daily selects Vision Data 5-terabyte Total Advertising System. October 20, 2004 - Vision Data releases new HomeLink version with direct billing interface to Total Advertising System.